The Commission on Appointments (CA) rejected on Wednesday Judy Taguiwalo’s confirmation as Department of Social Welfare and Development (DSWD) secretary. 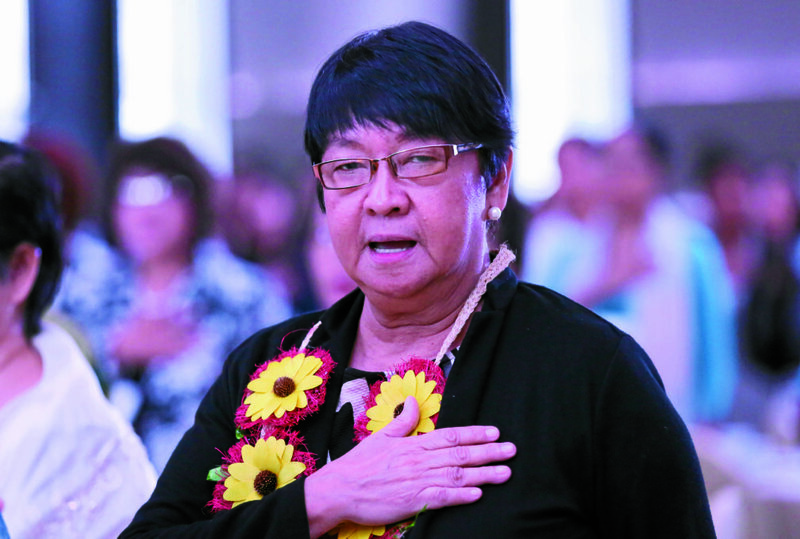 Twitter is a buzz with the mounting outrage over the Commission on Appointments (CA) rejection of the appoint of Taguiwalo. many netizens have expressed dismay with the CA decision, saying the government bas lost a harworking official in the Duterte Cabinet. Belo are some of the tweets slamming the CA and expressing support for Taguiwalo. "In the Philippines: The Duterte Administration has removed one of their most progressive members of cabinet, Judy Taguiwalo." Ray said. "I'm out of words. I see no reasonable reason why did the Commission on Appointments rejected the forever passionate DSWD Sec. Judy Taguiwalo, From Gina Lopez to Judy Taguiwalo, this government (run by masochists) hates empowering women who have integrity and passion w/ their causes" Magello stressed. "So Judy Taguiwalo was rejected. This government never fails to amaze me. " Albert San Diego said. "Ang bigat sa puso ang pagka reject kay Judy Taguiwalo! Ano po ba ang gusto ng CA? Lahat ng congressman may share sa pera ng DSWD? Putangina!" "We are calling out for justice to her fervor and passion to help the community, and the country. We love you, Sec. Judy Taguiwalo." "Thoroughly disappointed of the decision of CA to reject ad interim appointment of Judy Taguiwalo as DSWD Secretary."